Doctor Who: Rose by Russell T. Davies. Oh, I so hope this is the first of a Target Collection of all New Doctor Who. It's a fantastic novelisation that fleshes out characters and plot elements from the original episode. I'm going to keep this short because it is late and I'm tired, but I'd love this book for Chapter 6 - Life at No. 90 on its own. Great work RTD. And hopefully, more to come. Doctor Who: Twice Upon a Time by Paul Cornell. Another enjoyable read. Cornell's approach was slightly different to RTDs in that he seems to have tried to make it a homage (as opposed to a pastiche) of an old-school Target novelisation. It feels like it might - with the odd difference here and there - have been written by Terrance Dicks on a good day, which is as big a compliment as I can give it really. One small quibble is the repetitive joke about justifying name calling by name-dropping a celebrity and their meeting with the Doctor. I know that's a purely personal thing and it is so minor I almost feel guilty for mentioning it. But I've done it now. So, ignore my quibble and give this a read. 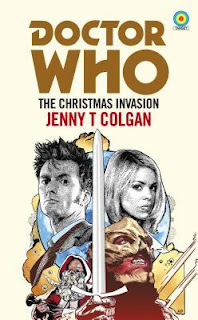 Doctor Who: The Christmas Invasion by Jenny Colgan. 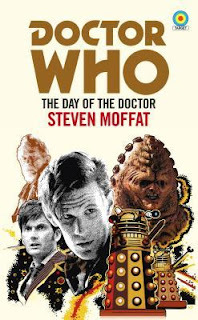 I've been impressed with all these 'New Who' Target novelisations (and I'm about to start Steven Moffat's 'The Day of the Doctor') so far. I notice though that those not written by their TV writers - this one and Paul Cornell's 'Twice Upon A Time' - feel more Terrance Dicks novelising other people's scripts than they feel like the later Sylvester McCoy era ones, which were often used by their TV writers to add additional depth to the story - see Ben Aaronovitch's 'Remembrance of The Daleks' or Ian Briggs's 'Curse of Fenric' as examples. That isn't a criticism btw. Terrance Dicks was the master of turning a Doctor Who episode into a rattling good read and that's what Colgan's done here. Having said all that, the book does give us an interesting insight into Rose's response to The Doctor's regeneration. And once again makes me feel sorry for Mickey. 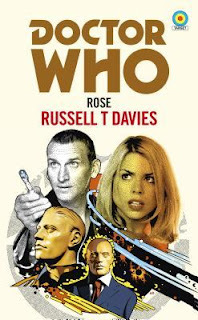 I do find it hard to like Rose occasionally - see 'Tooth & Claw' for how horrible she & The Doctor can be together - but in this book, she's the central character. As she was in the TV version. Anyway, I'm waffling. This is good. Have a read. Doctor Who: The Day of the Doctor by Steven Moffat. This is a superb novelisation. It manages to tell the story of the television episode with style, wit and a no lack of skill. Steven Moffat does a stonkingly good job of telling the story from multiple points of view making you understand the timey-wimey stuff. For example, when we get the account of the Doctor's trip to the Tower from the point of view of all three versions of the Doctor. We get an idea of what it is like to be a time traveller. He also does a fine job of telling Osgood's (or the Osgoods as they will be) story. And there's a fantastic set of Peter Cushing jokes. It's packed full of good stuff some of which didn't make it into the television version and some of which did. I can't recommend it enough. 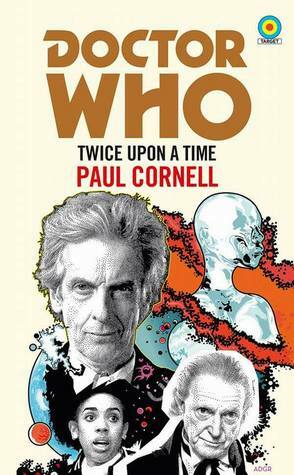 It's the best of the new Target novelisations I think, although RTD's Rose comes pretty darn close. But all of them are worth reading.